Fame, the long-running Runar Borge stage production based on Alan Parker's 1980 Oscar-winning film and the American TV series of the same name, will give its last performance at the West End's Aldwych Theatre on 22 April 2006. However, fans of Eighties dance-based films needn't panic as Fame will soon be followed by another stage musical adaptation of the genre, Dirty Dancing. 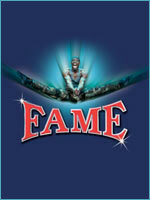 Fame first opened in the West End at the Cambridge Theatre in 1995, when it was nominated for two Laurence Olivier Awards for Best New Musical and Best Choreography. It returned in 1998 for a run at the Prince of Wales Theatre. The musical's current West End run began in October 2000 at the Victoria Palace (its second outing at that venue, where it also played in 1997) before transferring back to the Cambridge in September 2001 and then to the Aldwych in 2002. With its on and off appearances in the West End and ongoing tours, Fame has now been seen by more than 3.5 million people in the UK.